It’s no mistake that the first week in May is the time set aside to celebrate teachers. With summer vacation right around the corner, it’s hard not to appreciate all the time and patience it takes to spend all day long with children and not strangle one. Celebrate a special teacher with cyclamen this year to let them know you recognize and value the work that they do from bell to bell. A potted cyclamen looks great on a desk, but even better on the back porch during their summer vacation. Native to the Mediterranean, these unusual flowers grow from a single bulb-like corm. The leaves are heart-shaped with a dark, almost bluish-green, color that has a silvery stripe following the slightly scalloped edge. 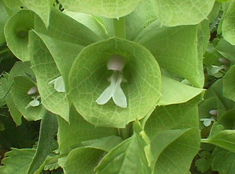 The flowers emerge from the center and grow up and above the foliage. 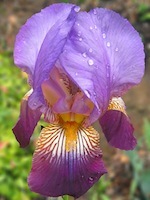 The petals are upswept, reaching backwards almost like a shooting star and come in white, pink, purple and red. 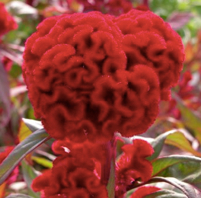 The center, which often angles downward, is usually a deeper color, giving the entire bloom a sort of inside-out look that is both fun and fascinating. Like teachers, the leaves of the cyclamen really come to life in autumn with blooms forming throughout the winter and spring. Cool season lovers, cyclamen growing in their native areas actually go dormant in the summer, recharging themselves through the hot months to emerge again in the fall. 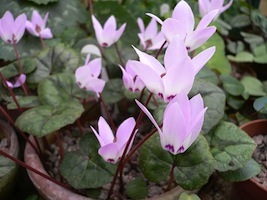 A cyclamen bought from a florist will have a slightly different lifecycle and can be expected to bloom for several weeks after it is purchased. As a houseplant, it likes indirect light or direct light from an eastern window that isn’t too strong. Average water and a bit of fertilizer each year should have these lovely perennials blooming every year, usually around spring time. Planted outside, cyclamen are a great alternative to impatiens and begonias for your shady spots. Mixed in with a few sweet alyssum along a border or planted in a group with other cyclamen, these pretty plants can be enjoyed all summer long while a teacher recharges and plans ahead for the school year to come. In the language of flowers, cyclamen are symbolic of goodbyes. They are a great way to wish a teacher who has made the grade a fond farewell as your student moves on to the next grade.